‘Drawing and the Body’ was the third within a series of exhibitions developed by Charlotte Hodes at London College of Fashion, University of the Arts London and co-curated with Dr.Flavia Loscialpo. Realized in collaboration with The Swedish School of Textile, University of Borås, it has been preceded by the shows ‘When Photography and Drawing Meet Fashion’ at The Hong Kong Polytechnic University (2009), and ‘Drawing Towards Fashion’ at Fashion Space Gallery, London College of Fashion (2007). These exhibitions highlighted the crucial role that, for students, researchers and practitioners, drawing plays within creative thinking and the fashion design process. Accompanying illustrated catalogue ‘Drawing and the Body’ includes an introduction by Professor Frances Corner OBE, an essat by Dr. Flavia Loscialpo and three interviews between the curators and Professor Helen Storey MBE, Simon Thorogood and Philip Delamore on the way in which they approach drawing and their creative exploration of the body within their practice. 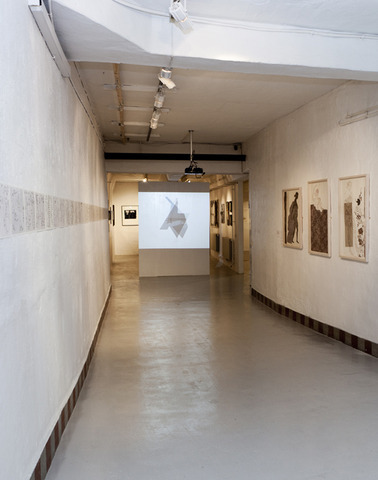 The exhibition featured a range of approaches to drawing in relation to the body in the form of pen, wash and pencil on paper, 2D and 3D digital drawing and projections.